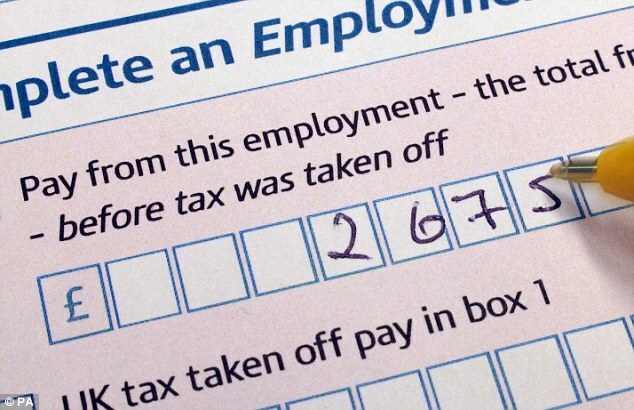 Tens of thousands of complaints about incorrect tax bills, codes and unpaid credits are being thrown out by HM Revenue & Customs — and never investigated by an impartial judge. Money Mail can reveal that just one in 40 people who have been fobbed off by the taxman has their case heard by an independent adjudicator. Tax experts say part of the problem is that people often don’t know they have the right to escalate their complaint to the Adjudicator’s Office, where they can get an impartial hearing. And buried in an official report the adjudicator says that many taxpayers are being deterred because they cannot email their complaint. In an alarming statement, it says that this is because HM Revenue & Customs (HMRC), which funds the Adjudicator’s Office, refuses to cover the cost of setting up this vital service. Experts say many people are put off because any penalties or interest charges they face are not frozen during the complaints process. This means they could end up paying much more if they wait for their case to be heard by the Adjudicator, and then lose. Elaine Clark, managing director of accountancy firm CheapAccounting, says: ‘HMRC is clearly not doing enough to highlight the adjudicator service to taxpayers. And even those that do know about it often don’t have the energy or expertise to take on that fight. If you believe you have suffered unfair treatment at the hands of the taxman, you must first complain to HMRC. Between April 2017 and March 2018 the taxman received 77,410 complaints. Of these, almost four in ten — 39 per cent — were fully upheld in the first instance. A further 15 per cent were partially upheld. Yet Money Mail’s investigation can reveal that, of the 38,248 complaints not fully upheld in the last tax year, just 943 were referred to the independent Adjudicator’s Office — around one in 40. In theory, this could indicate that as many as 15,000 rejected cases may have been overturned if the taxpayer had kept fighting their corner. The number of complaints referred to the adjudicator has fallen 18 per cent compared with the previous year. It received 1,111 complaints between April 2016 and May 2017 compared with 943 in the last tax year. Yet over the same period the number of complaints received by HMRC has risen slightly from 77,279 to 77,410. Just over half of complaints referred to the adjudictor were about tax credits. Other ones include issues with tax codes. One way would be to allow customers to contact them via email. In its report the adjudicator says: ‘Due to wider departmental pressures, HMRC have not yet been able to approve the funding we require so we cannot offer email as a channel of contact for our customers. ‘We believe this acts as a barrier to customers who want to complain, which disadvantages our customers. If you want to take your complaint to the adjudicator, write to The Adjudicator’s Office, PO Box 10280, Nottingham, NG2 9PF or call 0300 057 1111 between 9am and 5pm Monday to Friday. You should do this within six months of receiving your final response letter. You will need to explain why you are complaining about the service you received and enclose a copy of the final decision letter from the department you are complaining about. On average it takes seven to eight months for complaints to be dealt with by the adjudicator. If your case is rejected again you can take your complaint to the Parliamentary and Health Service Ombudsman. 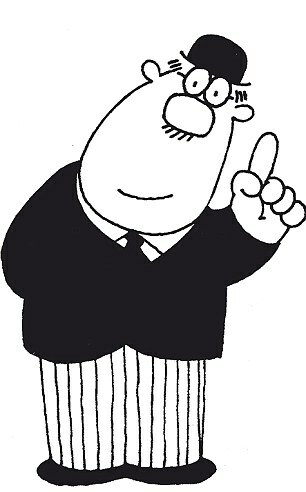 An HMRC spokesman says: ‘We want to get all our interactions with customers right first time.